By every account, Cinderella III: A Twist in Time should be crap as the plot sounds really silly especially for a Disney sequel but it’s one the most enjoyable Disney sequels. The plot is Cinderella and Prince Charming are celebrating their first year anniversary with the Fairy Godmother. Anastasia overhears that Cinderella used magic to win over the Prince and steals the wand when the Fairy Godmother drops it. Anastasia tells Lady Tremaine, who at first is skeptical but when the Fairy Godmother shows up asking for her wand and accidently getting turn to stone by magic, Lady Tremaine uses the wand to undo the last year and resets time to the day after the ball. 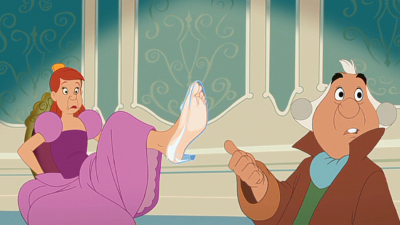 She uses the magic to make the slipper fit Anastasia leaving Cinderella confused. Cinderella then decides if she going to get her dreams to come true she going to work for it. At the Palace, Prince Charming chats with his father about how he knew the girl he danced with and presumably fits the slipper is the girl for him because he felt true love when he touch her hand. He then meets the girl who fit the slipper, who is now Anastasia and Prince Charming knows it not her but Lady Tremaine uses the wand to make Prince Charming forget dancing with Cinderella and makes him think it was Anastasia. He then asks her to marry him. When Cinderella sneaks into the Palace she is even more confused to learn that the Prince doesn’t remember her and is going to marry Anastasia. Gus and Jaq, who saw Lady Tremaine use magic on the Prince, tell Cinderella and she tries to get the wand. Meanwhile Prince Charming and Anastasia share a dance. The Prince figures something is wrong as he feels nothing from her touch but he is still kind to Anastasia who proves to be an awkward dancer. After the dance the King gives Anastasia his most prized possession, a seashell. He tells Anastasia that he meet his Queen when he and her both reached for it and when their hands touched he knew it was true love. Cinderella along with Gus and Jaq manage to get the wand but are caught and she is sentenced into exile but not before she touches the Prince’s hand. 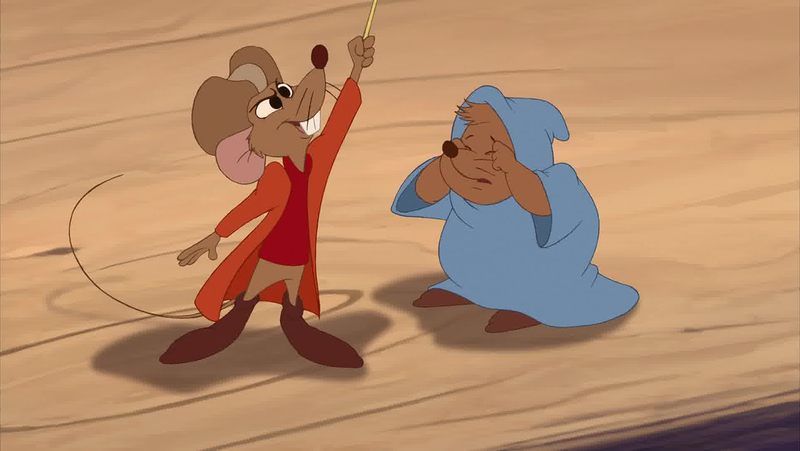 Jaq and Gus tell the Prince the truth about the spell and that her danced with Cinderella and he rushes to boat that is taking Cinderella into exile. When they return Lady Tremaine and her daughters get way with magic. As Cinderella is getting ready for her wedding, Lady Tremaine reveals she has changed Anastasia into Cinderella. Lady Tremaine teleports Cinderella into a pumpkin coach and sends her speeding away to her death. 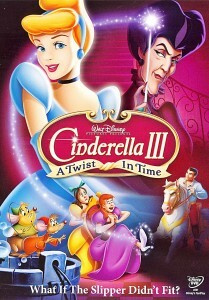 Cinderella frees herself with the help of Jaq and Gus and rushes back to the palace where she crashes her own wedding. 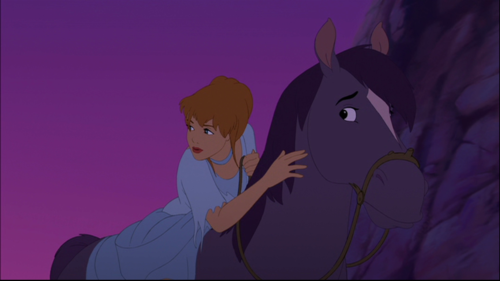 Cinderella gets there just in time to see Anastasia says that doesn’t want to marry the prince. Lady Tremaine uses the wand to change the soldiers to various animals but when she try to use it on Cinderella, the Prince blocks the magic with his sword. The spell then ricochets and hits Lady Tremaine and Drizella, turing them into toads. Anastasia offers the seashell back to the King to which he replies that she deserves true love. She then changes back to herself and her and Cinderella bring back the the Fairy Godmother. The Fairy Godmother offers to return Cinderella and The Prince back to their former lives which confuses them. 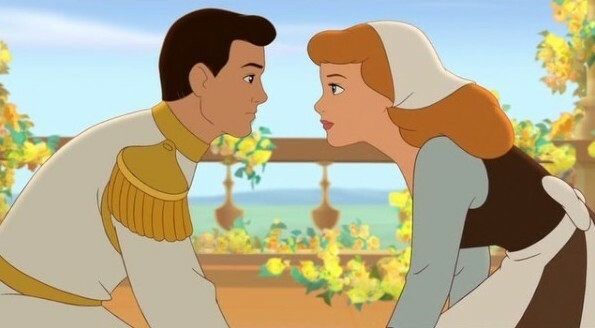 This movie makes Cinderella an active player. She now has to work for her happy ending. She is saved by the Prince off the boat and Jaq and Gus help her a lot but it through her own efforts that she gets what she wants. 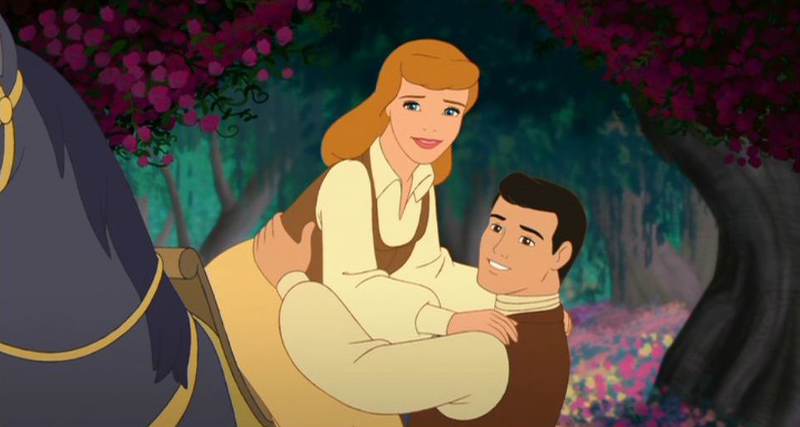 This makes Cinderella more likable by a modern standard. Today, we like characters who are active parts in their stories instead of just being acted upon. Cinderella gets a little bit of a bum deal because she did try to make an attempted to go to ball but here she is tying her best to get want she wants. Cinderella also uses her wits and her psychical prowess, she tricks, runs, jump etc all in the name of love. The Prince also works her the happy ending when her saves her from the boat instead of making the Grand Duke do it. Another thing I like about this movie is it doesn’t add new characters it just expands on the old ones. With exception of The Fairy Godmother who is out of commission and Drizella, who has nothing to do, the other characters are a little more fleshed out. Disney sequels have a habit of introducing new characters to focus on at the expense of the original beloved characters. Cinderella III gets away with more than other sequels because the original film didn’t have strongly fleshed out characters, so they were freer with their characterizations. The technicals are miles better than most sequels. The songs are bad, I will admit that but the dialogue, background music, pacing and dialogue are all very well done. Even the animation was much better than most of the sequels. This could because Disney Australia had extensive model sheets and lots of live action footage to work off of. It just seems like there was a decisive effort put into this sequel that can be seen in some of the sequels but is lacking is more. Despite Cinderella III: A Twist in Time weird out there plot, it’s defiantly one of the few good Disney sequels, that is, if you can get pass the opening number. I just want to add, I love it when the king tells the Prince that he can’t take another foot down the stairs and the Prince says “Okay” and jumps out the window. Classic!